Brass wire production, historical artwork. Brass is an alloy of copper and zinc. It is malleable and relatively easily shaped into the wire form being produced here. It is a good electrical conductor, but prior to the invention of electrical devices the principle use of brass wire was for the wool industry. 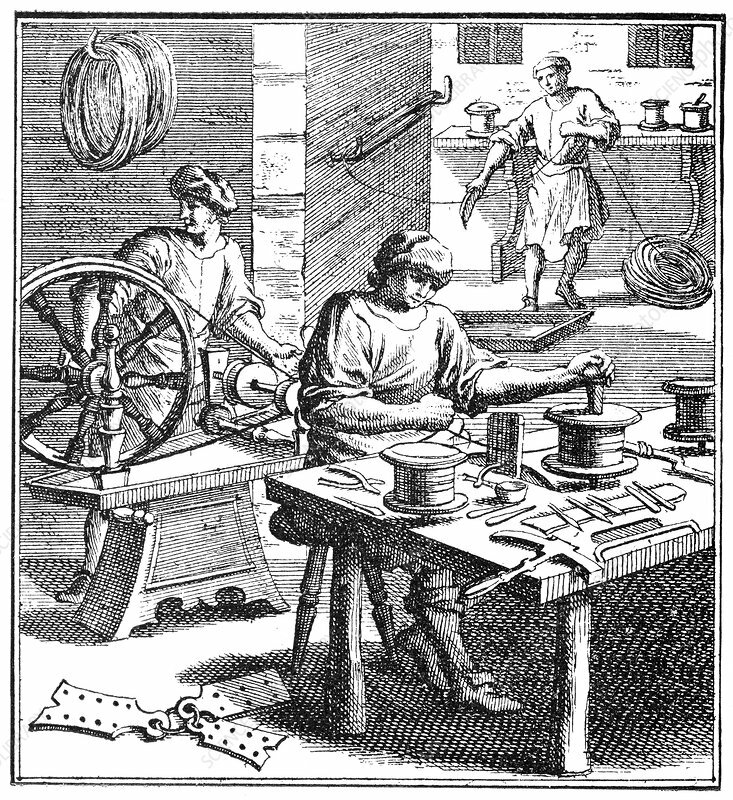 Brass wires were used in carding, the process by which wool is turned into yarn. This artwork, a woodcut by German artist Sandrardt, is from the third edition of 'Les Entrailles de la Terre' (1902) by French author Eugene Caustier.